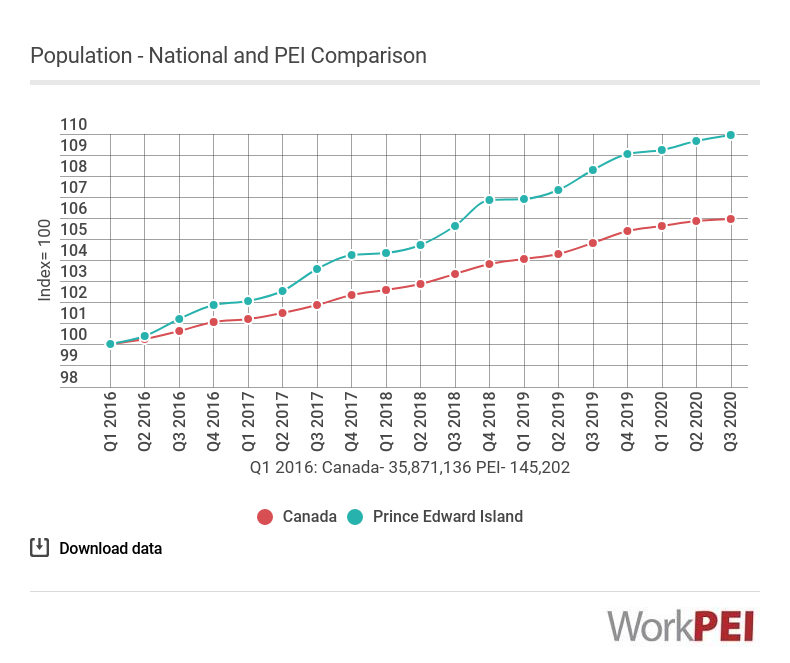 On January 1, 2019, Prince Edward Island’s population reached 154,748, up 3,213 persons or 2.1% from January 1, 2018. The national growth rate was 1.4% over the same period. Download this graph as an image and use it in your presentation or report! Adapted from Statistics Canada, Table 17-10-0009-01 (Estimates of Population, Canada, provinces, and territories). This does not constitute an endorsement by Statistics Canada of this product. Estimates of the number of people living in Prince Edward Island. This includes Canadian citizens and immigrants as well as non-permanent residents.